Highlights : Laxmi Narayan Temple, Red Fort, Jama Masjid, Qutab Minar, Lotus Temple, India Gate, President House, Parliament, Raj Ghat, Badrinath, Kedarnath, Gangotri, Yamunotri, Jama Masjid, Red Fort, The Buland Darwaza, Palace of Jodha Bai, Birbal Bhawan, Panch Mahal. Shilpagram  craft mela. Our tour package 'North India Healing' will let you explore the National Capital of India  New Delhi. Here you will witness the prefect fusion of ancient and the modern era. It lets you explore the historical monuments, museums, galleries and the exotic gardens of Delhi. Throwing a charismatic charm on its visitors Rishikesh offers its tourists with ancient temples, numerous ashrams and magnificent monuments. The serenity and panoramic beauty of Rishikesh will spellbind you and will leave you mesmerised. In this tour beyond Delhi and Rishikesh, you will be taking a sightseeing tour to Agra  the zenith of art and enshrined romance. Our 14 day tour package is the fine amalgamation of cultural and religious tour to North India. Day 1: Delhi. On your arrival you will be met by representative and transferred to the hotel for the overnight stay. Day 2: Delhi-Balrampur. Next day after breakfast take the city tour covering all its important sightseeing places such as Laxmi Narayan Temple, Red Fort, Jama Masjid, Qutab Minar, Lotus Temple, India Gate, President House, Parliament and Raj Ghat. Overnight at the hotel. Day 3: Lucknow-Balrampur. Morning transferred to Rishikesh. On arrival check into the hotel. Day free to enjoy city's silent atmosphere. Overnight at the Hotel. Day 4: Balrampur-Lumbini. 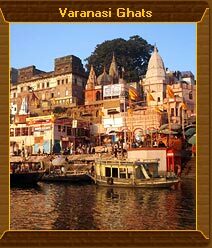 The holy town will engage your forth day in exploring its magnificent temples and ashrams. You will be paying homage at the famous char dhams of India namely Badrinath, Kedarnath, Gangotri and Yamunotri. Later you will be engaged in some of the adventurous sports activities like river rafting, trekking, birding, skiing and camping. After that you will be transfered to the hotel for dinner and overnight stay. Day 5: Lumbini-Kushinagar. Morning spend one hour with the astrologer to discover your future. Afternoon free for personal activities. Spend night at the hotel after having the gala dinner. Day 6: Kushinagar-Sarnath-Varanasi. Morning spend one hour with the astrologer to discover your future. Afternoon free for personal activities. Spend night at the hotel after having the gala dinner. Day 7: Varanasi. Morning spend one hour with the astrologer to discover your future. Afternoon free for personal activities. Spend night at the hotel after having the gala dinner. Day 8: Varanasi-Bodhgaya. Transferred to Jaipur. After a leisurely breakfast visit the majestic Amber Fort. Take a elephant ride to explore this beautiful city. Afternoon excursion to City palace, Palace of Winds, Jantar Mantar and Nawab Sahab Ki Haveli. Overnight stay at the hotel. Day 9: Bodhgaya. Transferred to Jaipur. After a leisurely breakfast visit the majestic Amber Fort. Take a elephant ride to explore this beautiful city. Afternoon excursion to City palace, Palace of Winds, Jantar Mantar and Nawab Sahab Ki Haveli. Overnight stay at the hotel. Transferred to Jaipur. After a leisurely breakfast visit the majestic Amber Fort. Take a elephant ride to explore this beautiful city. Afternoon excursion to City palace, Palace of Winds, Jantar Mantar and Nawab Sahab Ki Haveli. Overnight stay at the hotel. Day 11 : Udaipur .In the morning take th relaxing spa treatment at Udaipur. Halt, make a visit to the Rural craft complex - Shilpagram where artisans of Gujrat, Rajasthan, Goa and Maharashtra display their wares. In the evening enjoy the boat cruising at Lake Pichola. Transferred to the hotel for he overnight stay. Day 12 : Ranakhpur. Early morning after breakfast visit the Jain Temples built by Rana Kumbha in the 15th century at Ranakhpur. The most important is the main temple called as Chaumukha Temple' dedicated to Jain tirthankara Rishab ji. Overnight at the hotel. Day 13 : Delhi Transfer to Delhi. Morning free to relax. In the afternoon explore the markets of Delhi. Shop for the handicrafts items at Delli Hatt. Take at the Rikshaw ride at the Chandeni Chowk. Overnight stay at the hotel. Day 14 : Delhi. After breakfast, drive to the International airport for flight to onward destination.